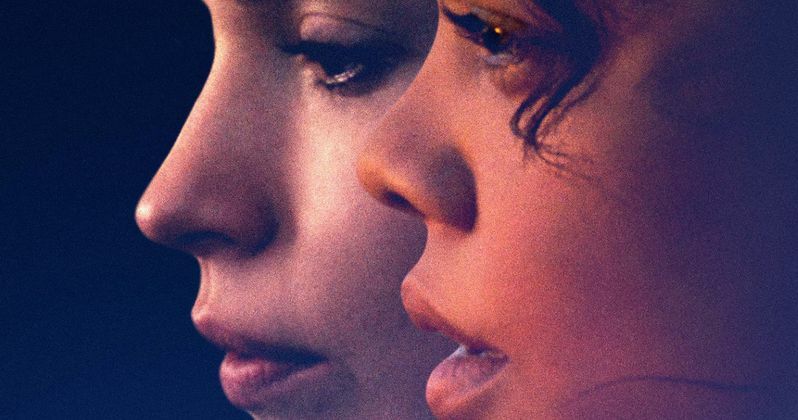 Tessa Thompson and Lily James star in Nia DaCosta's Little Woods. The movie premiered in April of 2018 at the Tribeca Film Festival and received acclaim for the story along with the performances of Thompson and James. Right from the start, the trailer for the crime thriller, which has been described as a modern western, looks dark and stressful as James and Thompson play two sisters who are in a tough spot after their mother passes away. Little Woods is a small town in North Dakota and a former fracking boomtown that has seen better days. Tessa Thompson stars as Ollie, who is trying to survive the last few days of her probation after getting caught illegally running prescription pills over the Canadian border for her sick mother. But when her mother dies, she is forced back into the life of her estranged sister Deb (Lily James), who is facing her own crisis with an unplanned pregnancy and a deadbeat ex. The two sisters find out that they have one week to settle the mortgage on their mother's house or face foreclosure. As bills and outside pressures begin to mount, Ollie faces the choice to return to a way of life she thought she'd left behind for just one more score or to leave it all behind. Obviously the trailer shows that decision and it doesn't look like things get much better for the sisters as things move along. Little Woods looks like an emotional thriller full of surprises. Little Woods has received praise after its two premieres at Tribeca and the Los Angeles Film Festival in September of 2018. The movie, which is Nia DaCosta's directorial debut, currently boasts an impressive 100% Fresh Rating on Rotten Tomatoes. Tessa Thompson had a busy 2018 with Creed 2, Sorry to Bother You, and Annihilation, along with the filming of Men in Black: International and a possible return to the MCU with Avengers: Endgame. The actress has not been confirmed for the highly anticipated Avengers movie, but she was seen around the Atlanta area when reshoots were taking place. In addition to Tessa Thompson and Lily James, Little Woods stars Luke Kirby, James Badge Dale, and Lance Reddick. The movie hits select theaters on April 19th and will undoubtedly rack up some more great reviews when the general public is able to see it. Nia DaCosta directed from a screenplay that she wrote and will be taking on Jordan Peele's Candyman reboot next. The movie has been described as a "spiritual sequel" to the original and fans are excited to see what Peele and DaCosta can pull off together. It's believed that the movie will go into production in the near future to prepare for its 2020 release date. While we wait for more news about that project, you can watch the trailer for Little Woods below, thanks to the Neon YouTube channel.